Welcome to Gotcha Rocks! Nice to meet you. This site is currently under construction. 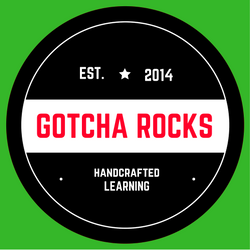 That being said, Gotcha Rocks will show you many how-to videos and blog posts. Yup, that will be it. If you have ever wondered how to make jewelry or how to polish a stone or just wanted to know where a certain stone comes from, I’ll do my best to answer your questions. I have over 21 years of lapidary, jewelry making, silversmithing and goldsmithing experience. I also have extensive web and brick and mortar sales experience. In short this site is designed to help you succeed. Hope you’ll return to the site soon. It will be worth it!